Healthcare leaders typically read "general business" books and figure out how to apply them to a healthcare setting. 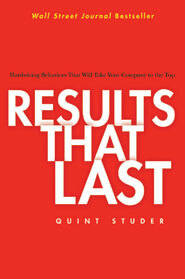 Quint's Wall Stree Journal's Bestselling book, Results That Last, represents a unique opportunity to share the tremendous progress our industry is making with leaders in other business arenas. 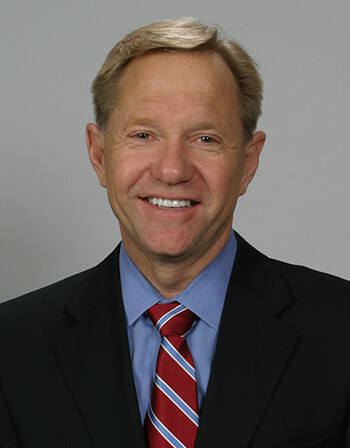 In Results That Last, Studer teaches leaders in every industry how to apply his tactics and strategies to their own organizations to build a corporate culture that consistently reaches and exceeds its goals. He has a gift for helping struggling companies implement and hardwire brilliantly simple fixes that solve larger problems in a self-perpetuating, almost organic way. Written in a conversational, easy-to-read format, each chapter includes compelling real-world stories that bring Studer's prescriptions to vibrant life. Results That Last offers sound, proven tactics for turning troubled businesses into consistent moneymakers. Results That Last has been listed on the Wall Street Journal's list of bestselling business books. This means that when many non-healthcare leaders are reading Results That Last, they are seeing that there is much to be learned from leaders in healthcare.